Where are we & where do we go from here? "Staying on top of an expansive industry with focus & clarity." Vernon Mason has been an early childhood administrator for over 24 years with a master’s degree in Early Childhood Administration from National Louis University. President of WEE SCHOOL Child Development Centers and an inspirational speaker. With a $5,000 credit card in 1991 he and his mother opened a small child care center with a capacity of 30 that grew to 125. In 1999 it was destroyed by a natural disaster. After rebuilding and starting over in just 2 years Vernon grew WEE SCHOOL Child Development Center to 248 children. When he turned 40 he purchased 3 troubled childcare centers in just 12 months. What a midlife crisis! He still wonders why he didn’t have an affair or buy a sports car like everybody else. He is the owner of four centers with 85 staff caring for 500 children. As a natural next step several years ago Vernon began consulting, training, secret-shopping and giving keynote addresses. He has become known for his inspiring story telling, candor and humor in his presentations at local, state and national conferences. 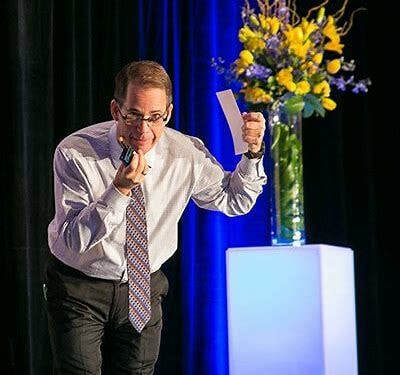 Vernon’s very popular keynotes and training's come from real life experiences. He has been hands-on in childcare programs for decades. While being a director he was also a cook, filled in classrooms, took care of maintenance (an expert at unclogging toilets) and multi-site management. Vernon began Directors Leadership Solutions out of his desire to make director’s path to success easier. The membership program is a hub for Vernon to share information he has learned along the way. He shares a variety of resources like parent communication dealing with everything from biting, staff turnover, and tuition rate increases. Tips on how to handle parent complaints, getting employees to do what you ask and developing a healthy work environment. Directors Leadership Solutions is also where businesses and organizations large and small find information on scheduling Vernon for speaking engagements, secret shopping, and to talk administrators through difficult times. Want to know what Virginia plans to achieve around early childhood care and education, and how that may affect you and your business? Hear it all directly from child care advocate and Virginia First Lady Pam Northam and Chief Readiness Officer Jenna Conway on October 18th at the kick-off keynote session of the VCCA Annual Conference. Moderated by VCCA President, Myra Swayers this “Success by 2020” discussion will explore the goals set for improving early care and education settings across the state and the ways Virginia plans to achieve them. This is your unique chance to ask questions about how these initiatives will affect you and your business, as well as how you can help support them to create a safe, thriving child care industry statewide. It’s what you don’t know that can hurt you! Experience the activities of last year!